Over the last decade, oats has gained immense popularity by riding on the “high fibre” bandwagon. Many of us have switched to oats for our morning breakfast. It has also been pitched as a food for the diabetic. Though we may not like the taste of it, we ended up making the switch because of the “fear” created by clever marketing. Apart from oats in the form of porridge/kanji, we started incorporating it in our usual idlis, dosas, chillas, dhoklas etc. Fibre is critical in our diet to flush out toxins and to keep our digestive system clean. A fibre-rich diet gives satiety, keeps our tummy full for a long time, slows down the release of glucose, eases bowel movement and prevents constipation. 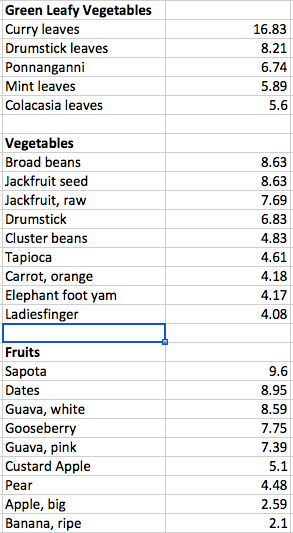 The recommended total dietary fibre intake is around 25 - 30 gms per day. Many of us believe that our regular Indian cuisine is devoid of fibre and we had to rely on oats to meet the requirement. Is that true? 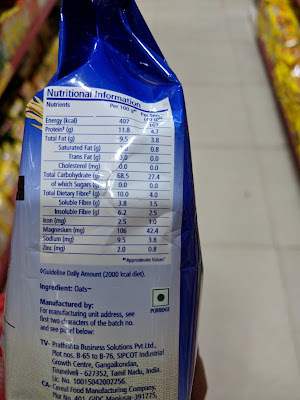 our intake of refined flour / maida has increased tremendously. Refined flour is devoid of any fibre or nutrients. The same story happened ever since we started eating fully polished white rice and basmati rice for our meals. These eating habits of the past 20-30 years is what resulted in low fibre intake and the repercussions which along with sedentary lifestyle led to India becoming the diabetes capital of the world. 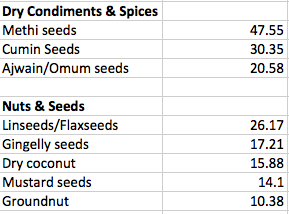 Is it possible to get our 25-30 gms of fibre from our regular Indian diet? Most definitely, we can. 1) If you haven’t started to include millets, it is the right time now. High in fibre, vitamins and minerals. Provides satiety through very small quantities, unlike store-bought atta or white rice. A gentleman once told me in my food stall when my menu had foxtail millet idlis, “I don’t know if I’ll like millets or not”. I so wanted to respond to him, “now how would you know that if you haven’t tried yet?”. Remove your mental blocks towards millets. If you are ready to try the imported oats and the super expensive quinoa, you can definitely try the local millets too. 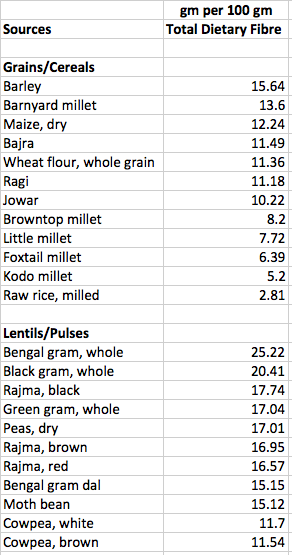 2) The lentils and pulses we use in Indian cooking are high in fibre. A bowl of rajma along with barnyard millet will give you enough fibre for a meal. 3) Most of the traditional South Indian dishes use a few sprigs of curry leaves. It not only imparts flavour but has numerous health benefits - high in calcium, iron and fibre. These benefits can be realized ONLY if we chew those leaves. 4) “An apple a day keeps the doctor away” - I’m not sure if this proverb is true anymore, given the amount of wax and shine on the apples. Local fruits such as sapota/chikkoo, gooseberry/amla, custard apple/sitaphal and guava are nutritionally much superior and give you adequate fibre. 5) We don’t need expensive lettuce, zucchini and broccoli to stay fit. Our country vegetables such as broad beans (avarakkai), raw jackfruit, drumstick and cluster beans (kothavarangai) are rich in fibre, along with other vitamins and minerals. 6) When people with diabetes are asked to include fenugreek/methi seeds in their diet, it is mainly because of its high fibre. Traditional South Indian recipes such as sambhar or morekuzhambu call for a tsp of methi seeds as part of tadka. Vendhaya Kuzhambu, vendhaya dosai and vendhaya kali are almost forgotten recipes, that can help us to include methi seeds on a regular basis. 7) Most of the ingredients used in traditional Indian cuisine such as cumin seeds, ajwain/omum, pepper, sesame seeds, mustard etc are rich in fibre. It is INSANE to run after packaged foods and supplements to increase fibre intake, when our Indian cuisine includes food combinations and recipes that provide the required nutrients. The key influencing factor behind the increased adoption of oats is the “high fibre” promise. 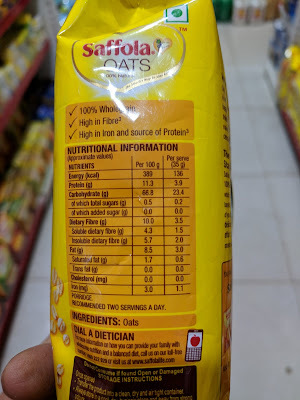 To validate the authenticity of this claim, I checked out couple of popular oats brands. A single guava will give me more fibre (along with Vitamin C) than these brands of oats. It is appalling to see how we are being fooled by the brands and their advertisements. Eating a bowl of oats every morning for breakfast WILL NOT solve all your health issues. 1) Cut down on all maida based products completely. Stop buying bread and biscuits on a regular basis. 3) Include millets atleast 2-3 times a week. There are so many varieties available. If one of them doesn’t agree or you don’t like the taste of it, try a different one. 4) Embrace local fruits and vegetables. The custard apples from the roadside cart vendor are more beneficial to our health than the imported wax-coated Washington apples from fancy Nature’s Basket.